Somewhere at the back of your mind you register an authoritative voice. That voice belongs to the lecturer. She's trying to tell you something about private and public goods. But the only goods you’re currently concerned with are the colourful, shiny, and oh-so-touchable bits of candy in front of you. The ones you need to combine and crush. That’s right, you’re not paying attention. But it doesn’t mean you’re not learning anything either, because some of life’s greatest lessons are hidden in games like these. That is, if you actually are insane/bored enough to actually think about the metagame and the mechanics of how they work. So that you don’t have to go crazy examining the construction of candy crush and the philosophy of plants versus zombies, we’ve done it for you, and here are a few popular games that are more than meets the iPhone. 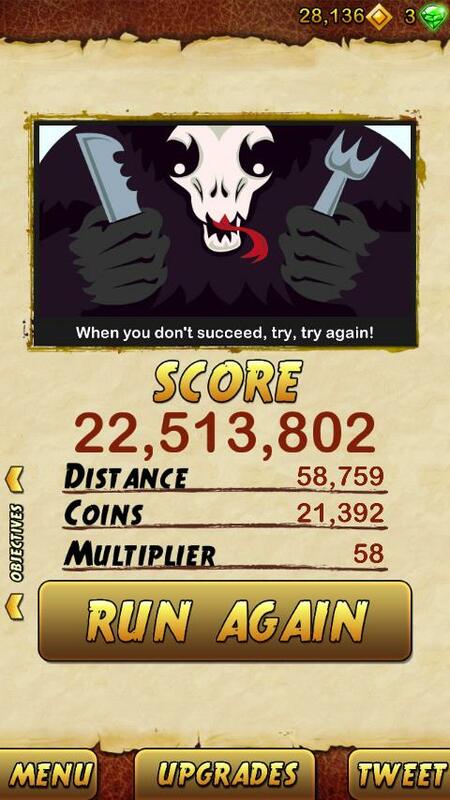 You’ve probably played this one. If you haven’t, you’re missing out on the amazing metaphors and rich subliminal messages they’ve built into the game. But before that, let me congratulate you on being part of the special minority who haven’t yet succumbed to this game’s right-angle running coin collecting screen tilting fun. In this beautifully designed game, you play one of four characters whose job, dreams, and purpose in life is to run, collect as many coins and amass as high a score as possible – before you inevitably die when things get so fast you can’t handle it anymore. You do so by swiping your fingers across the screen to jump, duck, turn, and dodge left and right. You also need to tilt your phone sometimes to lean towards the side where the coins are. So, what is this all really about? In life, you play one character you choose, whose job, dreams, and purpose is really to run, earn as much value, do as many things, help as many people, and devour as much sashimi as you can before the inevitable death. To do this, you need to keep going, keep moving ahead, because you don’t have a choice anyway. Stop, and the big, scary monitor-gorilla (a.k.a. time-and-other-people) is going to catch up on you. Sometimes you stumble, and it really does get closer to you, but you don’t stop, you keep going. You try, try again. And you need to know where the coins are. They’re not just money, but the valuable things in your life – family, sashimi, love, meaning, work, sashimi – that you constantly need to go out of your way to collect. Sometimes you even have to risk your life to get some of them - but they're usually worth it. And in the end, no matter how much you do, how far you’ve run, how many life points you’ve accumulated, it will all end. Not because you’ll actually reach the sacred 'temple', but because time will overtake you. Thing is, you don’t care. 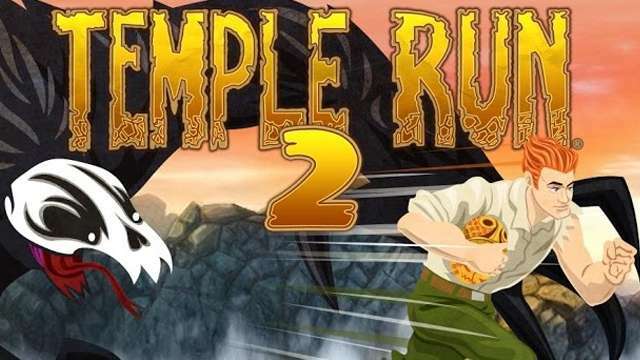 You’re playing temple run for the high scores, to get coins to buy upgrades so the next person to run the course will get it a little better than you did. That’s what remains. That’s a legacy that endures. Let's hope that part about there being a "Run Again" button is true too. If you’re reading this, it means you have internet access. And if you have internet access, you’ve played this marvel of a glycogenic game. Even if you don’t, I’m guessing you’d know a little bit about how friend-dependent this game is, via the nine thousand requests that other people have sent you for lives. 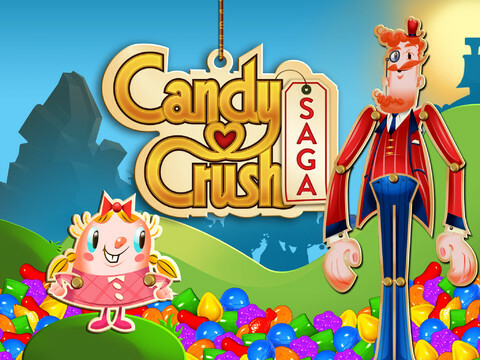 Candy Crush Saga is built upon an age-old game formula, where you combine three or more similar objects in a pattern to clear them. 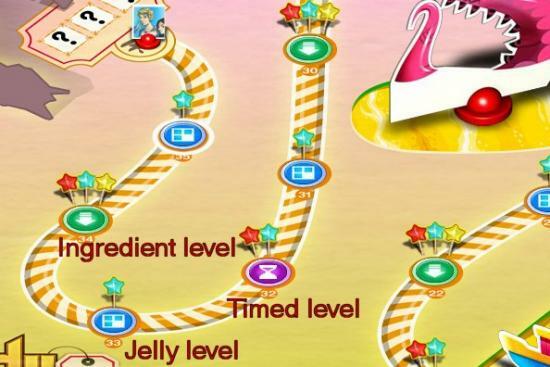 Making it a little more challenging, King Games implemented a set of objectives to meet at each level, and created an entire world of sugarrific splendor complete with an overarching storyline to introduce some epic meaning into the game. Its virality is also enhanced by social mechanisms built into the system, which require you to either get other people to send you lives to play each time you run out, or buy your way through with facebook credits. Many people play this game due to its social elements too, because they want reach higher levels than their friends and brag about it. Also, the appeal of this game shines through not only from its well rendered graphics and smart game mechanics, but from how it subliminally rewards you with praises of ‘Sweet’ and ‘Divine’ each time you make a great move. Take away the chocolate mountains and tinseltown decorations. Unwrap the candy wrappers and detonate the colour bombs. What you have left is, in its essence, a world in which you have a limited number of chances and a limited number of moves to achieve your goals. Sometimes you even have a limited amount of time to get something done. Sound familiar? What about the fact that, when you (inevitably) fail, you need to rely on your friends to pick you back up, or you have to wait for a full half an hour before that opportunity comes along again. Or, for those who are slightly more fortunate and possibly less patient, the option to buy your way through failure? 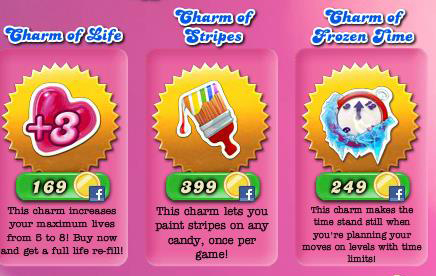 The option to spend on a variety of powerups to enhance your performance in life? And, once in a while, you meet an obstacle that you can’t cross yourself. And you’ll need three magical coupons from three friends to help you out. Think about who regularly sends you these coupons when you need them the most. These might just be the people who would really rush to your aid when you’re down in real life. We’re all trying to move ahead here, trying to get to the next level to beat others and feel proud of ourselves, and Candy Crush reminds us that we’ll need to choose each move we make wisely, and also have a group of friends, family and other people here to help us when we inevitably need them. That is, of course, unless you have too many facebook credits. In which case you could be giving some to me. #3 – Angry Birds: Give Me Liberty Or Give Me Death! Between you and me, I never followed the storyline of Angry Birds beyond the part where they’re kinda ticked off by the pigs. All I was bothered about was getting those three superbly shiny and satisfying stars. But the success of this game and its popularity with children sort of obscures the central mechanism behind this avian war – one of self-sacrifice, absolute commitment, and death sudden disappearance from the playing field in a puff of smoke. In this fun and easy-to-play game, you get a limited arsenal of various types of birds and a slingshot from which to launch them. The objective is to eliminate the pigs housed in a nearby set-up, whilst trying to destroy as much as of it as possible. The more you destroy and the less ammunition you use, the more points you score. It’s a simple catapult game, really. Except live birds are used as ammunition. What really motivates them to place themselves on a massive sling shot, and fling themselves mercilessly towards badly constructed fortresses? What really angered them so much as to inspire an entire armada of birds, red, blue, black, yellow, white and more, to dedicate the rest of their lives to eliminating the pig menace? WHY ARE ANGRY BIRDS ANGRY? These birds have something to prove – that there are just some things worth dying for. In the first episode that was released, we learn that the pigs stole some of their eggs. 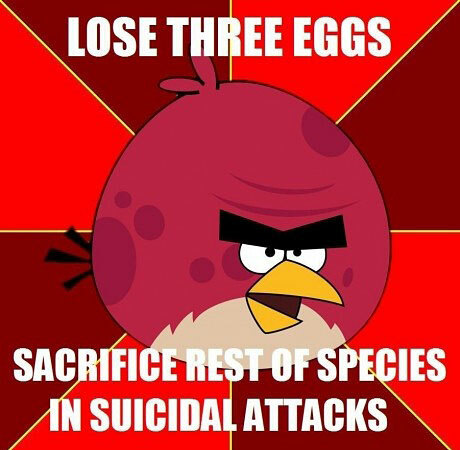 Put it into context, and you realise these birds are actually sacrificing themselves for their offspring. And this game is slightly different from the previous two, because I’m not saying the game world’s similar to ours. I’m not saying that in the real world there are many people who believe in something so deeply that they become martyrs for their cause, flinging themselves without second thought onto establishments of authority they are unhappy with. 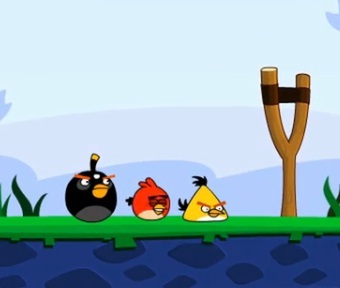 That there are angry revolutionaries in the world named after certain animals or called The Angry Birds. Ok, I am saying that, sorta, but what’s more important here is the realization that there exist things in this world that are as great as massacring green pigs and stolen eggs – things that people actually are willing to give up their lives for. “Give me liberty, or give me death,” were the words famously attributed to Patrick Henry, in the speech he made to the Virginia Convention. This exclamation of extreme and absolute belief was reputedly what convinced them to begin the American Revolutionary War - a war which was probably responsible for us being able to play Angry Birds on our Apple products now. In this day and age, maybe we’re a little bit caught up with first world problems to the extent that we’re forgetting what the greatest and most important values are – the ones which men and women before us fought and died to protect. Angry Birds is here to remind us of what’s really important, because you don't want to lose your eggs...I mean the crucial things in life, to make things clear. What other games are equally 'educational'?